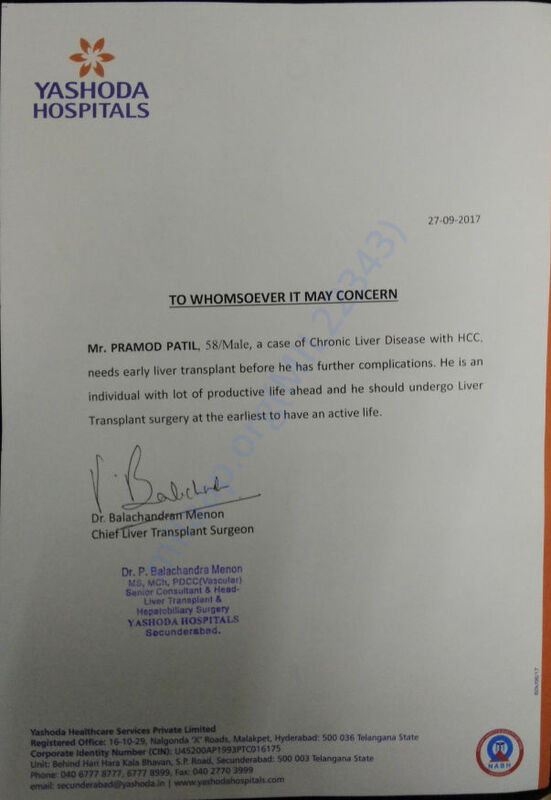 Need help for Pramod to do Liver Transplant as he is suffering from Liver Cirrhosis (Hepatitis B) and his 80 - 85 % of Liver is damaged. The remaining 15-20 % of Liver has detected with HCC cancer. The cancer cells have started spreading in portal veins. 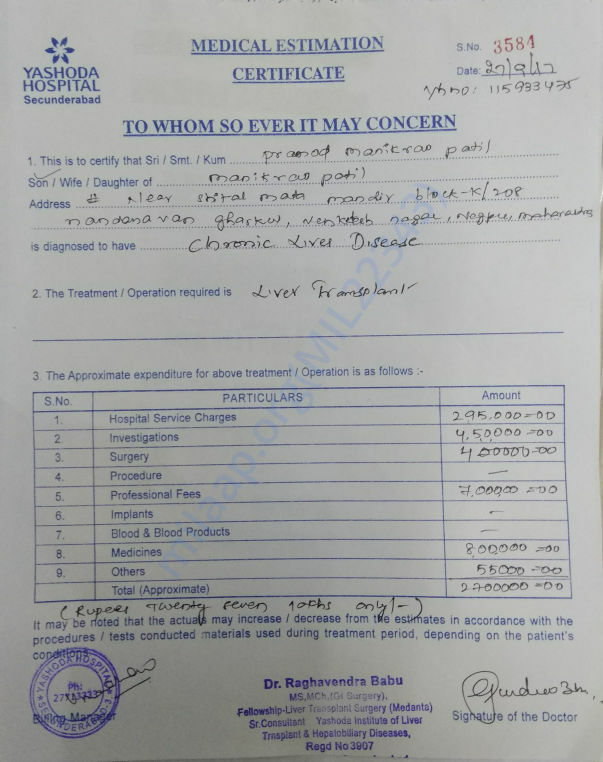 As advise by Doctor Liver Transplant Team ( Yashoda Hospital Hyderabad) we need to get a Liver Transplant done within a Months time (Mid November) and the expenses for the same would be around 24 Lakhs. 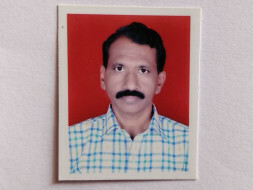 Pramod's son(Vipul) will be the Live Donor for the Transplant. Pramod is responsible for 6 member family ( Mother,Spouse & 3 children) with the earning 18,000 per month. His 2 children are still studying. Please help us to raise fund as the family is struggling to raise funds for Liver Transplant. As soon as the Funds are collected the Liver Transplant procedure will start as advised by Doctor.